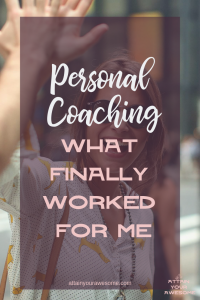 Today I want to share with you my journey through over $35,000 worth of personal coaching. That’s NOT my earnings…..that’s what I’ve invested in myself over the past 3 years! You see, that’s exactly what you’re doing when you jump into coaching. It’s one thing to ask your friends and family for free advice and, if you’re like me then you know exactly where that got you Lol! Don’t get me wrong, it’s great to bounce ideas off others and such but if you want to make leaps and bounds towards your goals, you hire a coach or a mentor. I called up American Express, confirmed that I could make that large of a charge and I was approved. That kick-started my journey and I wouldn’t be where I am now if I didn’t take that leap of faith and have BELIEF in myself! I remember being gun-ho to finally figure out why I wasn’t succeeding. You see, I was in Network Marketing at the time and everywhere I looked people were making more than me, they had more sign-ups, they had the cars and everything. Everything that I wanted when I joined and was sure I could attain. However, I fell short of those goals. I worked for 6 months with my first coach and realized that I had SO MANY BLOCKS! I was literally in my own way. I did the work and started to see growth in myself! My confidence was growing and I was actively taking a role in teaching others on various topics to help them with marketing. While I thought I had worked through all the “trash” inside me, I found myself caught in the rat race. I had a full-time job and was working on building a business after the day was out. I listened to all the gurus about hustling and grinding and which I will say, thanks to my father, I have a great work ethic. But I was tired. I met and started working with Emily Rose who pinpointed exactly what I needed. More self-work but her teachings were different….and effective!! One thing I remember most was how I kept telling her I “should” do this and I “should” do that. She picked up on it right away and had me do a should challenge. Basically, remove the shoulds. We get so caught up in what others say we “should” do that we start getting lost in it all. Think to yourself, does that happen to you? I learned so much from Emily and I still keep her teachings close to my heart. With her I learned that prospecting and network marketing wasn’t for me. A new business was born where I started doing work on the “back-end” for others in my marketing community. I was building websites and doing social media management and it was a perfect fit! Thanks to Emily for a new business and life being born! I’m now in my 3rd coaching program. To those who don’t understand personal growth will say “again?” or “another one”? Yes, another one. Because every day we evolve and we grow and my desire is to keep growing. There is too much in the world to achieve and learn that I don’t want to become complacent! This year I chose the Bob Proctor coaching program and rather let me say, it chose me. As I was listening to a friend of mine do a Facebook Live, it all resonated with me. Danielle Amos, my coach now through the Bob Proctor Institute, spoke on attracting abundance to you versus you working hard and grinding every day to get it. You see, I currently own my own online store and while we are getting sales, we weren’t reaching the numbers I wanted. I realized that I had money blocks and I wanted to resolve them. So I signed up and in the past 90 days I have had so much more abundance come into my life!! 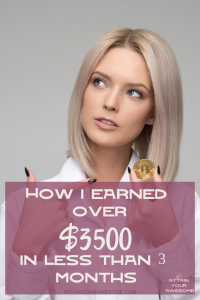 In less than 3 months, I have called over $3500 in through various methods! And, my health has improved dramatically as well! So much has come and I’m only half way through the coaching! To say I’m a bit excited for what will come next is an understatement! Why Do You Need To Consider Coaching? Basically, if you’re looking to grow, a mentor or a coach is definitely the way to go. 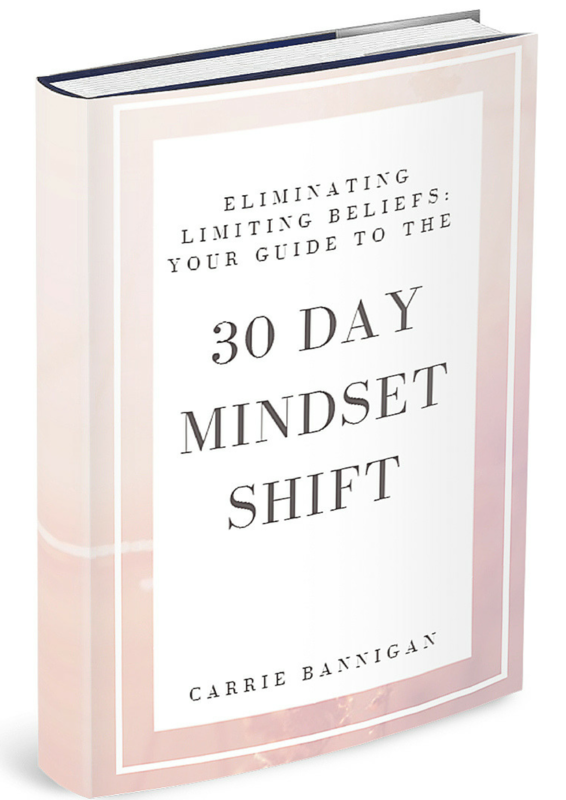 They are specially trained to cut through the BS we tell ourselves and they give us the tools we need to succeed. I would HIGHLY recommend the Bob Proctor coaching program with my coach Danielle because you can use it towards anything you want to manifest. Looking for love? It works. Looking for more money? It works. Want your dream job/home/life? It works. Want to become your healthiest self? It works. Flat out guys, it works. The best part is that you get the tools for your lifetime and I promise this is something you’ll want to share with your kids too. Imagine not only having a life you desire but also leaving them with the tools to make their dreams come true too! How Can You Get In? If you’ve been feeling like something is holding you back, if you’re tired of seeing others succeed around you but you’re just not sure why it’s not you then let’s chat. I’d love to hear what’s going on in your world and what you’d like to improve. My coach Danielle along with the Bob Proctor institute may be the perfect fit for you! There’s no time like the present to gift yourself the tools to succeed in any dream you desire!